31/08/2012 அன்று பணி நிறைவு காணும் கீழ்க்கண்ட தோழர்களின் பணி ஓய்வுக்காலம் நல் வளத்தோடும், அமைதியுடனும் ஆரோக்கியமாகவும் அமைய மாவட்டச் சங்கம் வாழ்த்துகிறது! 2. திரு. கே. செல்லையா T.M., தியாகதுருகம். 3. திரு. எஸ். மரியசவரி T.M., அரகண்டநல்லூர். 1. BSNL BOARD HAS APPROVED 78.2% IDA Merger AND WILL BE SENT TO DOT FOR PRESIDENTAL ORDERS. (c) the reaction of Unions thereon functioning in BSNL? BSNL as regular employee for 15 years. maximum of 60 months salary. தோழர் வேதாசலம் அவர்களுக்கு பணி ஓய்வு பாராட்டு விழா!! BSNL Board meeting on 28-08-2012 at 1130hrs: Important items like 78.2% IDA merger, NE-12 scale etc come up for discussion. radiation emanating from cellphone handsets and towers. to be lowered to 1/10th of the existing level. The "highest authority of telecom had announced the price after a lot of deliberations and views by TRAI",BSNL Chairman and Managing Director R K Upadhyay told reporters here last night. He said pricing would not make significant dent on BSNL. "However, it could be disadvantageous while renewal process is undertaken," he said. A meeting of the Union Cabinet, chaired by Prime Minister Manmohan Singh, on Friday agreed to price 5 MHz of airwaves in the 1,800 Mhz band at the lower end of the Rs 14,000 crore to Rs 15,000 crore reserve price band suggested by a ministers' group. Upadhyay said he is hopeful of releasing BSNL's financial results of 2011-12 by September, adding that auditing process is in progress. He said the PSU telecom major is likely to at least break-even. He maintained that roughly 52-53 per cent of the total expenditure goes towards wages bill and other establishment charges. The public sector telecom major is to tap its strong infrastructure to garner additional revenue and profits. BSNL is appointing a consultant to advise them on monetisation of real estate holdings and other avenues with which additional revenues could be generated utilising in an optimum manner the massive infrastructure accrued in the last decades. BSNL would also diversify its operations by establishing video conferencing centers and wi-fi spots across the country where the market potential is lucrative. The company would also utilise the strong training centers established all over the telecom circles to impart training for the youth on skill development and other IT disciplines. To a question on the outcome of the recently initiated upgradation of land line billing system, Upadhyay replied that it was none other than a major transformation in the telecom history of India. As much as 330 Telecom SSAs had to be integrated, networked for the billing process. A detailed survey is deployed on the outcome of the exercise and certainly it would have benefited BSNL in terms of revenues and services uptake. On the issue of 14.37 million lines augmentation tender, he said that purchase orders have been issued and suppliers will start supply requisite equipments from next month. He said the exercise is likely to culminate in the next 7-8 months. The financial implication was to the tune of Rs 3,500 crore and he was hopeful of revamping and upgrading the BSNL network across the country with special focus in rural areas. Commenting on the cabinet's decision COAI said that a Rs 14,000 crore base price is too high and that with the approved price there will be no case for business. 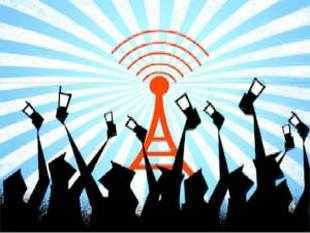 NEW DELHI: The Cabinet today fixed a minimum or base price of Rs 14,000 crore for the Supreme Court mandated auction of telecom spectrum. The Cabinet, headed by Prime Minister Manmohan Singh, decided to fix the reserve price at the lower end of the Rs 14,000 crore to Rs 15,000 crore band that was recommended by an Empowered Group of Minister (EGoM), official sources said. The EGoM had suggested a reserve price at Rs 14,000-15,000 crore for 5 Mhz of airwaves as against around Rs 18,000 crore recommended by sectoral regulator Trai for the auction of spectrum vacated from cancellation of 122 licences by Supreme Court. Sources said the Cabinet approved levy of annual spectrum usage charge of 3 to 8 per cent on different slabs of revenue as was recommended by the EGoM headed by P Chidambaram. Chidambaram has been made the Finance Minister in a minor Cabinet reshuffle early this week. The apex court had in February this year cancelled 122 licences issued by the then Telecom Minister A Raja in 2008 and asked the government to conduct fresh auctions by August 31. But this deadline may not be met and the government may approach the apex court for extension of the timeline. The reserve price fixed would be a disappointment for the telecom industry which had been pitching for a 80 per cent cut in the reserve price suggested by TRAI which they felt would lead to up to 100 per cent hike in mobile telephone charges. The auction is crucial for companies like Uninor andSistema Shyam Teleservices, who have time till September 7 to offer their services after which they will be forced to close down their operations in case they fail to get a licence.